Here's one of our superb slots from Eyecon, it's fair to say they have done it again and produced another fun and bright slot that will attract a wide range of gamers. Come and join the top cat over at Kitty Payout Jackpot to see if these feline friends are on your side. Simply spin the reels and wait to see if you come out with a win. 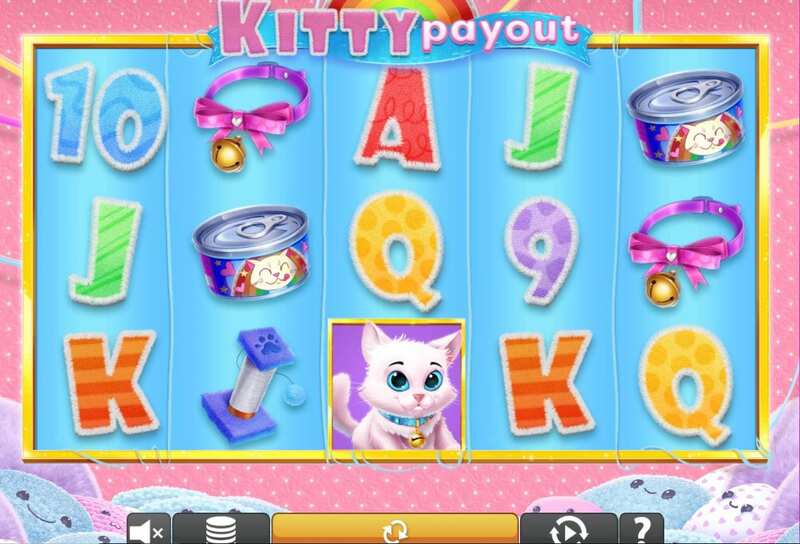 The best thing about this particular game in the Kitty Payout series is that its progressive jackpot will keep on growing until you decide to cash it out. It’s a hugely enjoyable game that comes with big winning potential! To get you started, make a deposit and play UK slots afterwards! Specialising in casino slot games and related software, Eyecon is a developing company that has seen success across the international market. The team of developers have a fantastic portfolio behind them which boasts games of various themes and styles. Each of their games is made using fine attention to detail so their graphics will never disappoint. 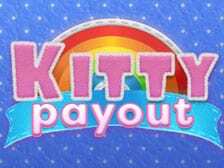 Kitty Payout Jackpot is a fine example of just how great their games are! To know more about Eyecon's creations, check these amazing slots games out! It’s a cat’s life alright, and Kitty Payout Jackpot gives you the chance to see how things would be in feline form. The game greets you with candy colours and charming music, which very much fit into the kitten theme. The background of the game board looks like a nursery room for kittens, with smiley cushions and cute wallpaper. On the surface of it, you could be fooled into thinking that this is a child’s game, but you definitely don't think that once you start playing and see just how big the jackpot can get when you play best slots now! When it comes to gameplay, you’ve got five reels and twenty-five pay lines. On the reels, you will notice a plethora of symbols. Most of them are represented by letters of the alphabet, and these are the lower values. The higher values are shown by cat-related items, such as collars with bells on, cat food, and scratching poles. And let’s not forget the bonus features. · WILD SYMBOL – You probably already know that you shouldn’t cry over spilt milk, and that’s definitely the case here. The knocked-over bowl of milk is the game’s Wild symbol. As usual, the Wild will replace any symbol on the reels apart from the Scatter symbol. · SCATTER SYMBOL - Spin the little kitten symbol and this will grant you some Free Spins. You need three of these Scatters for fifteen Free Spins. Every extra Scatter grants you an extra five spins. The most you can win with is five. That means that there is a very impressive twenty-five Free Wins you could potentially win in this slot game!